Sonic 3 in 1 is a compilation hack created by vladikcomper. 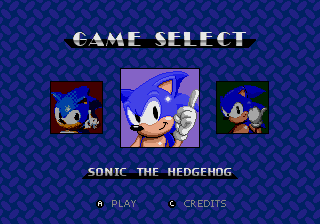 It combines the games Sonic the Hedgehog, Sonic the Hedgehog 2, and Sonic the Hedgehog 3 into a single ROM/cartridge. He said he got inspiration from Sonic Classics, and wanted to have Sonic 1 through Sonic 3 available in the same fashion. Release thread on Sonic Retro. This page was last edited on 11 April 2018, at 12:43.